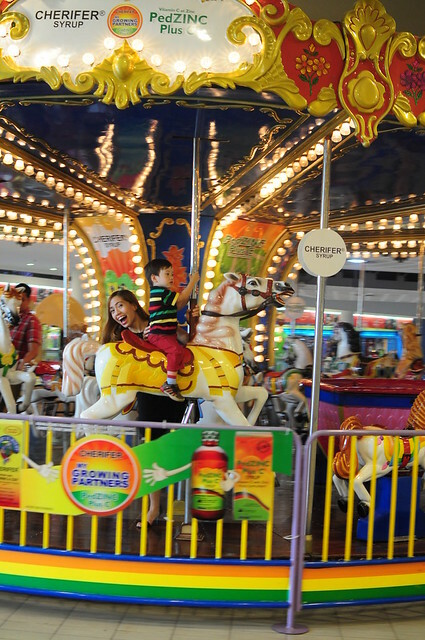 When I was little, I remember how amazed I am everytime I see arcades or carousels in the mall. 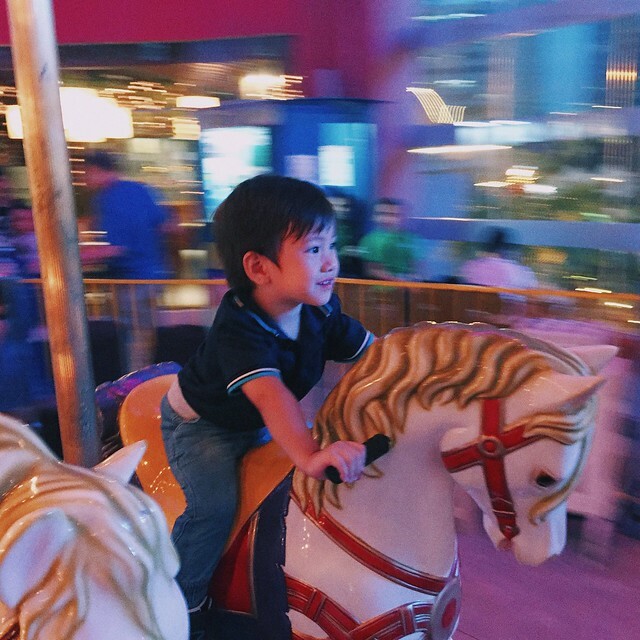 Back then, would always convince my mom or my lola to let me ride on those candy colored horses or let me play the video games inside the arcade. I never had the luxury of trying out all those wonderful things for we did not have much back then. 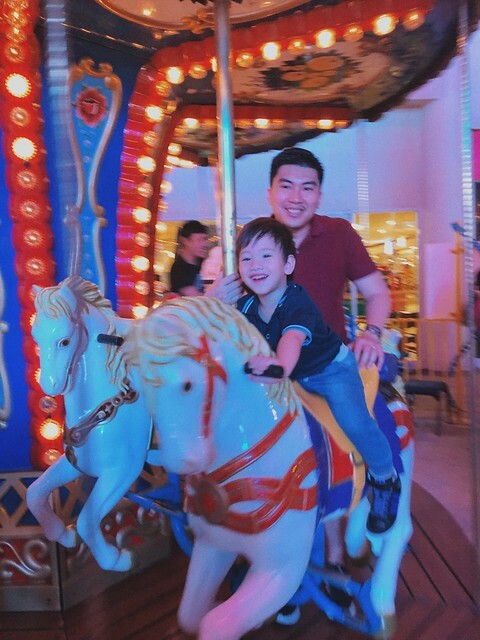 Fast forward to present, I end up giving in to Leon's request of riding the horse (his exact words would be "ride horse, ride horse), riding the train ("ride train"), riding the car or even playing some games in the arcade. I wanted to make Leon happy, make him experience the simple joys of childhood, and fill his emotional bank with sweet, lingering memories. 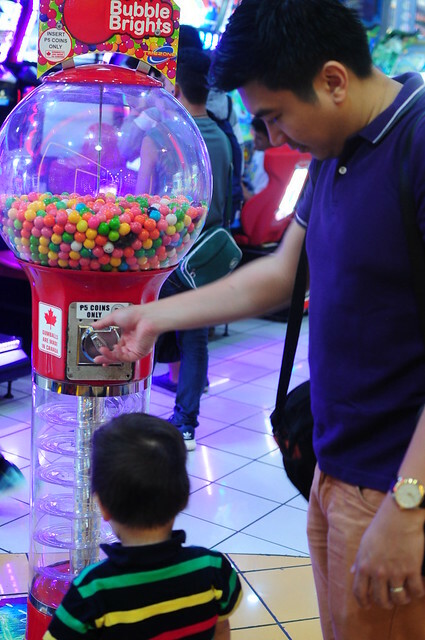 Leon loves gumballs! Leon would always watch the balls fall from this thing and is always amazed! How cute! 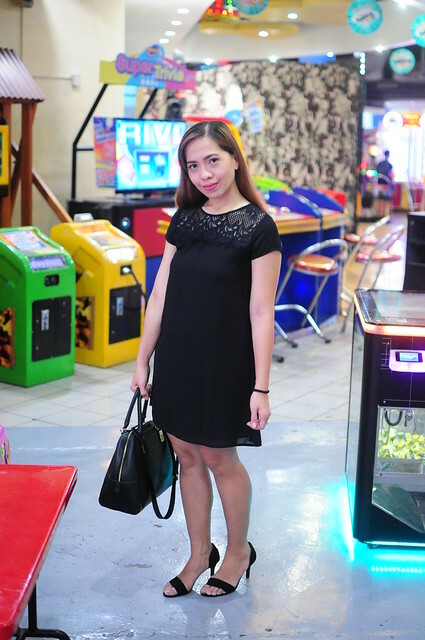 Honestly, whenever we're in the mall, we always try to not pass by the arcades unless we're done with our errands (eating or shopping). Like a normal kid, Leon would immediately force us to take him inside the arcade and would throw tantrums if we disagree. Lately, Paolo and I device our itinerary and would intentionally put this on our last stop so we could accomplish everything while making Leon happy. 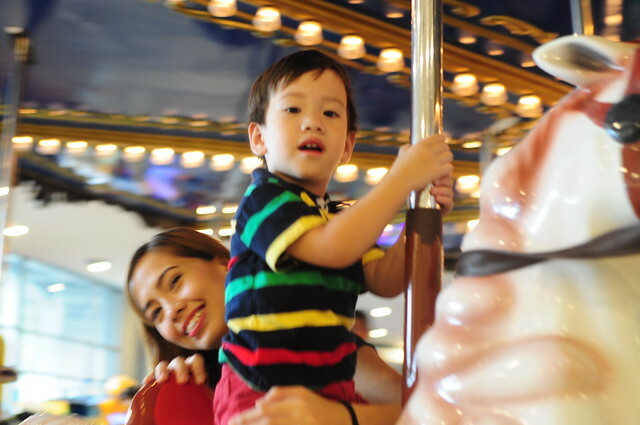 I remember the time when Leon ruined our family lunch cause he was insisting to ride the carousel instead of dining with us (lesson learned). 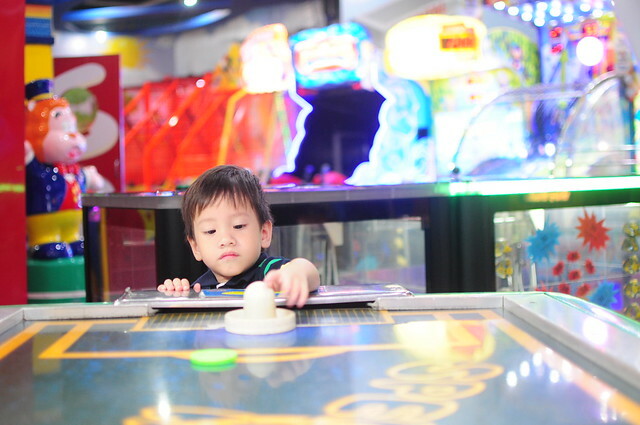 There are times, on the other hand, when we, as a family would play inside the arcade and enjoy ourselves. We also use this as our opportunity to bond and have fun. 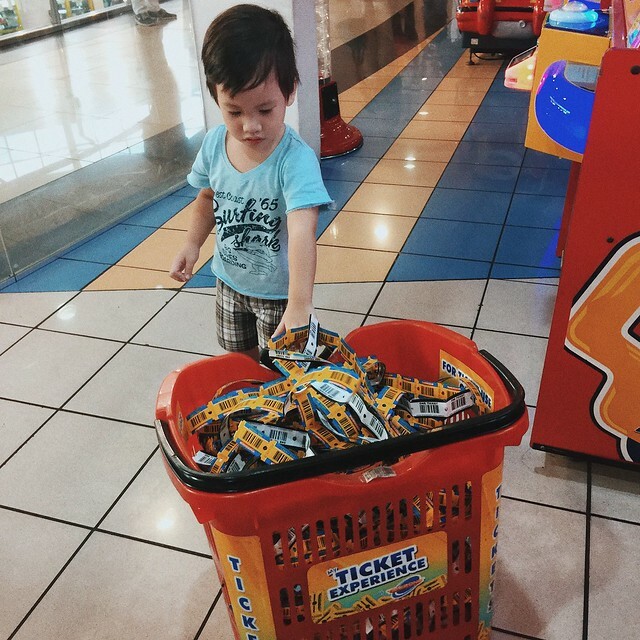 Remember my instagram post where Leon won thousands of tickets? 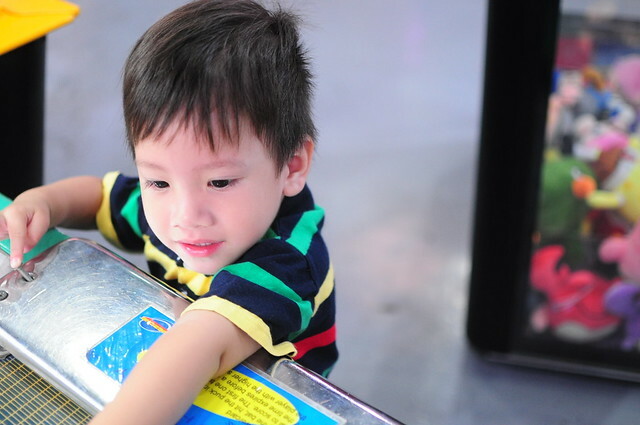 That was a month ago at Timezone Robinson's Manila where Leon enjoyed playing hoops, car racing, video games and ball slams with us. Anyways, I have to go now! 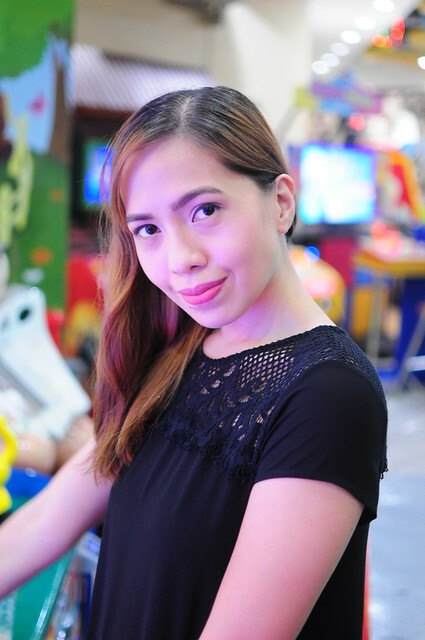 Hope you guys are liking my family story- segue to fashion or beauty style of blogging. Also hoping my stories inspire you too.